Physicians traditionally advise against the use of tampons during miscarriage bleeding. The reason for this recommendation is that the cervix may be dilated more than in a typical menstrual period, and theoretically, use of tampons during a miscarriage might pose an increased risk of developing a uterine infection or toxic shock syndrome (a potentially fatal type of infection associated with tampon use). That said, there aren't any studies documenting an increased risk of infection specifically attributable to use of tampons after a miscarriage, or providing details for this recommendation. It's possible that the risk might vary in different situations. After a chemical pregnancy, for example, it's likely that any added risk of tampon use would be quite low—especially considering that most chemical pregnancies probably occur unnoticed. But again, there's no data available. To err on the side of caution, it's best to follow the traditional advice and choose pads for the miscarriage bleeding. If you feel strongly about using tampons versus pads, discuss the matter with your doctor. Your doctor can help you decide what's best for your situation, and if you do decide to use tampons after a very early miscarriage, your doctor can make sure you are informed of the warning signs of infection and what to do if you might develop symptoms. Note that whenever a D&C is performed as a part of treatment for a miscarriage, tampons should always be avoided following the procedure due to an elevated risk of infection. Toxic shock syndrome is a serious condition that can occur after tampon use. In fact, toxic shock syndrome was first observed among women who used tampons. 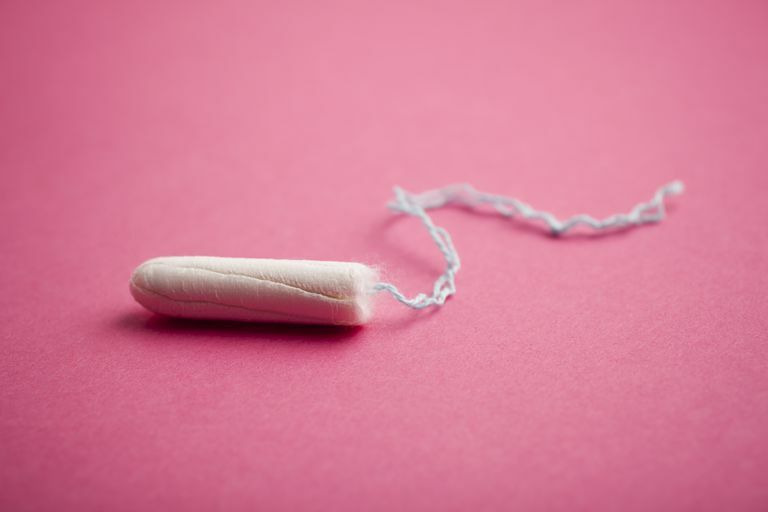 Today less than 50 percent of toxic shock syndrome is caused by tampons. Instead, many cases of toxic shock syndrome are caused by skin infections, burns, and surgery. Toxic shock syndrome is characterized by fever and shock. The shock is severe and results in the shut down of organs and if left untreated, death. Toxic shock syndrome is caused by Staphylococcus bacteria. However, not all Staph bacteria cause toxic shock. Of note, a similar condition called toxic-shock-like syndrome occurs after infection with Streptococcus bacteria. Toxic shock syndrome kills about half the people that it hits. Even in those who survive infection, long-term sequelae or consequences can happen including heart and kidney damage. After a Miscarriage: Physical Recovery. American Pregnancy Association. Hajjeh, Rana A., Arthur Reingold, Alexis Weil, Kathleen Shutt, Anne Schuchat, and Bradley A. Perkins. "Toxic Shock Syndrome in the United States: Surveillance Update, 1979–1996." Emerging Infectious Diseases 7Vol. 5, No. 6, November–December 1999. Smith, Mindy A. and Leslie A. Shimp. "20 common problems in women's health care." McGraw-Hill Professional, 2000.